There’s something incredibly counter-intuitive about the pain that debt-reduction cuts are bound to cause. In common with any problem rooted in economics, I can’t help feeling that we should be able to just reset the counter. After all, money is artificial, and the economy is the movement of money. So if we owe so much that we must cut to such an extent that valuable public services will be lost and millions of those beneath the poverty line will lose out on schemes they had come to rely on, why can’t we just..well, not? The problem of debt is that it is too interconnected, its an unbreakable chain that we made for ourselves. 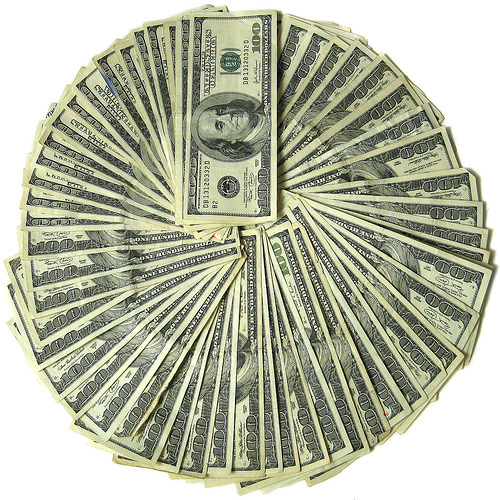 The purpose of money lending is clear to see in its simplest form. A well placed cash injection can enable businesses to grow or even start, and can allow governments to stretch beyond tax revenues at times of need. The problem starts when money is borrowed where it is not necessary. Being in debt has become such a natural state for individuals, businesses and governments that borrowing has become less a last resort, more a starting point. This is a state of affairs compounded by the commercial interests of banks and loan companies, the interests of which have led to the promotion of unserviceable debts such as the disastrous sub-prime mortgage market that led to the collapse of Lehman Brothers, and snowballed into the enormous public debts that we are now beginning to experience the ill-effects of. Quite why we as a society have allowed an economic system that favours markets over people is entirely beyond me. Partly, the naturalisation of debt must be rooted in the ephemerality of a digital economy. A deficit looks the same as a surplus. It just has a funny little dash in front of it. I’m sure I’m not the only one to recoil from the inhumanity of a system that allows the poorest of society to suffer for the good of the moneylenders. But forcing banks, bond traders and the like to simply write off the debt would have an equally disastrous effect, so intractable are they from the wider economy. As such, simply resetting the counter is an impossibility. The only way is to reduce deficits, both public and private, and hope to reset our attitude to debt via careful regulation; discouraging unscrupulous lenders from offering unserviceable financial packages and borrowers from accepting the same. A culture of living within our means must be promoted if we are ever to correctly re-prioritise so that we are never again forced into such a dire situation by the very systems we have created. The problem with life is…we gave it all to the invisible hand. This entry was posted in Current Affairs, Economy and tagged debt, deficit, economy, national debt. Bookmark the permalink.